If you have lost your keys and are feeling concerned about your family’s security, don’t lose anymore sleep! All that you need to do is have the locks rekeyed for your home. Also, when you move into a new home, know that you should rekey or change your locks. This may be recommended because a past owner can accidentally still possess a key. While this work may seem easy enough, it is best to employ a locksmith to perform the service for you. Here at NorthWest Locksmith Reno we provide same day service and only charge for the service provided plus a small service call fee. We always keep you involved in the process so that you know what is happening. A professional locksmith will know the proper combinations of pins to use within the lock to ensure that your home is secured. 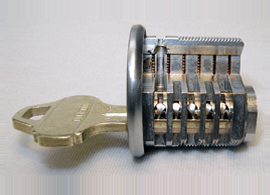 When a lock is rekeyed, the lock’s pins are replaced with new pins that will work to a different key. Re-keying a lock makes it easy because it works in such a way that you can use one key for all of the locks to your home, if you choose. This means that you will have one key that can access every room in your home. No more carrying a whole bunch of keys for all the rooms in your home. Convenience comes easily once a lock rekey is completed. After you have lost your keys and have got a lock rekey service, you can fall asleep with the assurance that your family is safe. Rekeying a lock is a lot cheaper than it is when you are replacing the entire lock and it is for the same security. In addition, you will be surprised of how quick the process is when a locksmith is rekeying a lock. This means that you can have many locks within your home rekeyed in a short time period. As you can see, you save both time and money when having a rekey performed onto your business and/or home. Remember, if you are considering having any work done on your locks it is pertinent that you hire a professional locksmith. All the good ones are insured, licensed, certified and bonded. Give us a call today. 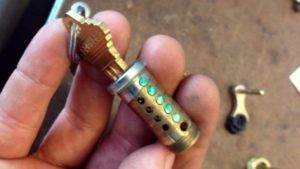 This entry was posted in Locksmith Tips and tagged lock, lock change, lock rekey, locksmith, locksmith reno, lost keys, rekey, reno, reno locksmith. Bookmark the permalink.